That Kurt Russell said President Donald Trump is "relentless," "dedicated," "determined" and "courageous" and "stands there in the face of pure evil, rock solid & ready to fight for us. God bless this brave man." 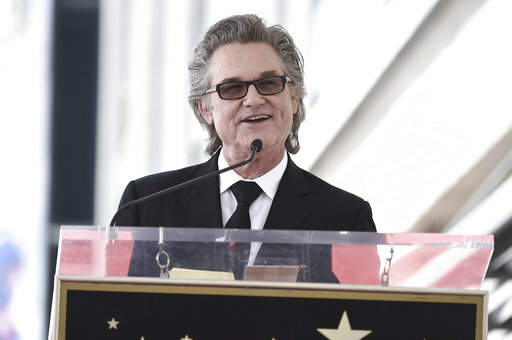 By Samantha Putterman on Tuesday, November 6th, 2018 at 10:07 a.m.
A recent Facebook post displaying a picture of Kurt Russell with a quote from the actor praising President Donald Trump has been circulating the social media site. As you might have guessed, Kurt Russell didn’t actually say it. We found the first instance of this quote originated on Twitter the morning of Nov. 3 by an account belonging to "Snake Plissken," which uses Kurt Russell’s photo as a profile picture. Kurt Russell played a character named S.D. Bob "Snake" Plissken in the films "Escape from New York" and "Escape from L.A."
In addition to the fact that the account does not have a blue verified check mark signifying it is actually an account belonging to the famous actor Kurt Russell, the account’s Twitter biography states plainly, "I’m not Kurt Russell." Nevertheless, as of Monday afternoon, the tweet has been retweeted over 5,000 times and has more than 12,000 likes. Russell has had his quotes taken out of context before. This time, there is no indication that even a granule of the this quote originated with the actor. Published: Tuesday, November 6th, 2018 at 10:07 a.m.